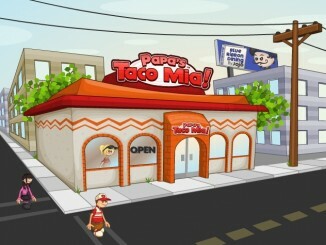 Papa’s Bakeria is the best and the biggest restaurant among all the restaurants Papa Louie owns. 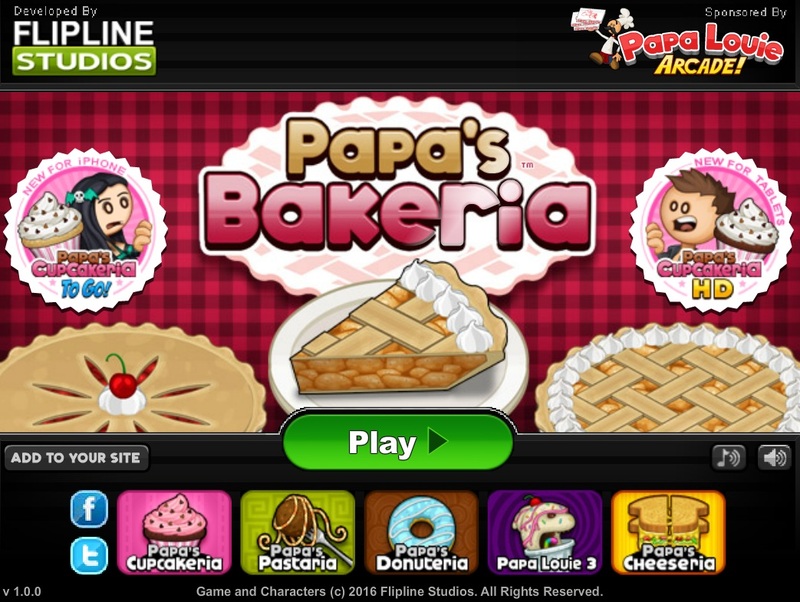 He opened this restaurant to celebrate his 10th anniversary in this business and the game that presents to us the story of Papa’s Bakeria is the 12th game is the chef’s restaurant operation series. Timm and Cecilia are the two default workers in this game. You can surely play with any of these default workers, but will also be allowed to create your own custom worker. The standard uniform these workers wear include a white shirt, a red and black apron, a pair of black trousers or a skirt, visors and a pair of black and white shoes boasting yellow laces. 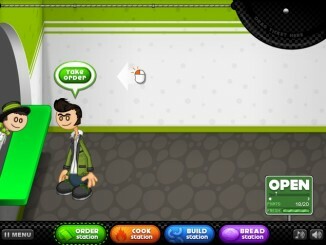 Play the game to find out whether you are skilled enough to run a popular bakery on your own. The job is challenging and as a result you will be rewarded well if you manage to do it perfectly. 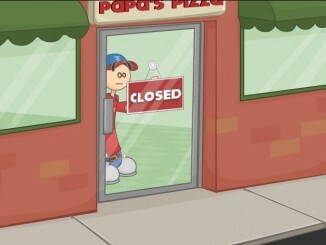 As a result of being owned by one of the most well known chefs in the city, Papa’s Bakeria experiences impressive foot traffic even from the fussiest customers. As a result, to score well in this game you will have to choose the right crust, fill them with ingredients exactly in the way the customer wants, and finally bake them perfectly. This is the first game of the series to have a Sticker Station. 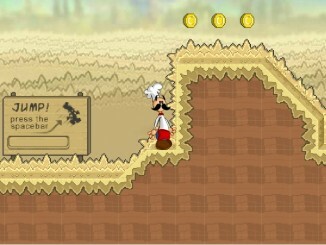 As you proceed in the game and complete different tasks, you will keep on winning Stickers. There are a total of 90 attractive Stickers to be won. 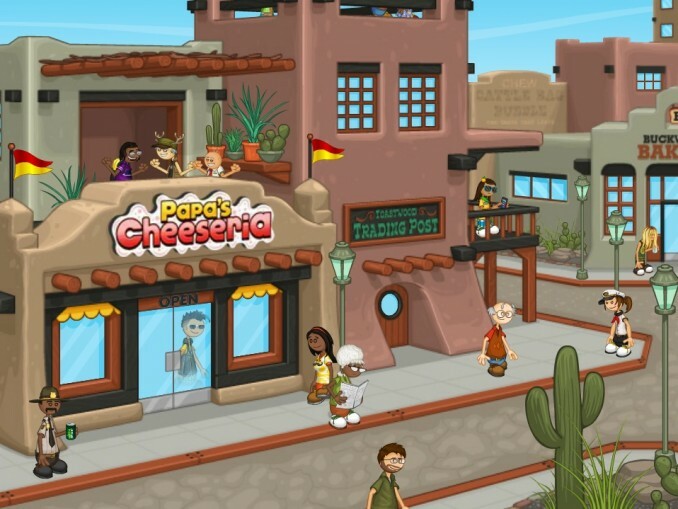 The game will give you the opportunity of unlocking a total of 101 customers. Every customer in this group is assigned three specific stickers. The moment you complete winning all those three stickers, the linked customer will be awarded a fresh outfit.